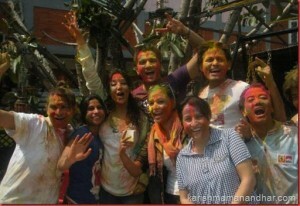 Last year, there was a big party in Karishma’s home for the celebration of Holi. 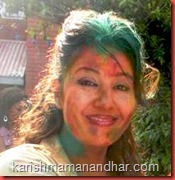 The day was also the birthday of Karishma’s husband Binod Manandahr. 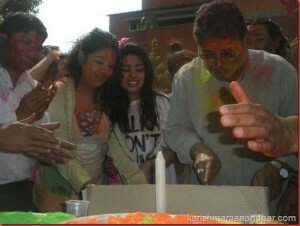 In the celebration, popular cine artists including Rekha Thapa, Shiva Shrestha, Deepa Shree, Dinesh DC, Sushma Karki, Niraj Baral, Nandita KC etc. were present.